On 21st June 2017, Go Airlines flight G8338 , operated with an Airbus A320-214 (reg VT-GOS) was involved in Air Turn Back incident due to Bird Strike shortly after takeoff from Delhi, India. 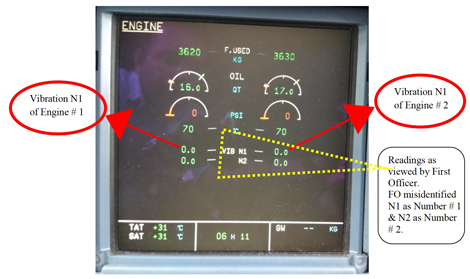 During take-off roll on Runway 09 at around 115 knots IAS, Go Airlines flight G8338 encountered bird strike on Engine # 2. Both crew noticed abnormal sound and vibrations but PIC decided to continue for take-off probably wanting to investigate the problem after getting airborne. After take-off the situation was incorrectly assessed and the Engine # 1 (unaffected engine) was shut down. Aircraft was climbing with the single engine, i.e. Engine # 2 (affected engine), for over three minutes. Aircraft stopped climbing at around 3330 ft altitude. Crew realized their mistake and attempted to start Engine # 1 but encountered Start Valve Fault. Crew of Go Airlines flight G8338 carried out appropriate actions and Engine # 1 was started at an altitude of around 3100 ft. Power from Engine # 1 was found to be available at an altitude of 3108 ft. The throttle of the Engine # 2 was later reduced as per QRH procedure and put on to IDLE. Probably aircraft lost considerable amount of energy in the process of starting Engine # 1 which, combined with flying the aircraft in absence of autopilot due to weather, resulted in activation of ALPHA FLOOR. Crew carried out appropriate action and ALPHA FLOOR was de-activated after 28 seconds at 2600 ft altitude. Crew requested to ATC for go around in first approach as the aircraft was too high on a glide. 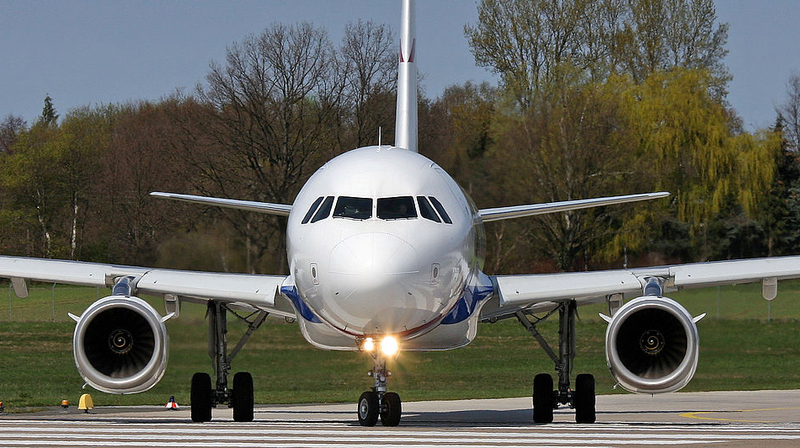 Subsequently, in second approach, aircraft landed uneventfully at Delhi on single engine, i.e. Engine # 1. The vibration value of N1 of Engine # 2 was above the specified limits for approximately six minutes during the flight. 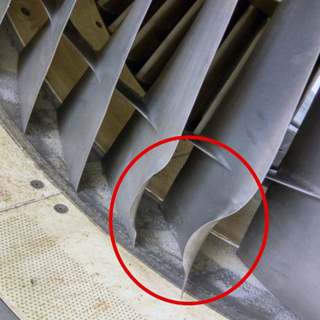 On arrival, during physical inspection, the blood stains were observed spread on the acoustic panel of Engine # 2 & damage was observed on the tips of the leading edge of two fan blades, i.e. blade # 21 & # 22. After rectification, the aircraft was released to service on 21/06/2017. The incident occurred in day time when the reported visibility was 2500 meter. No human injury was reported in the incident. 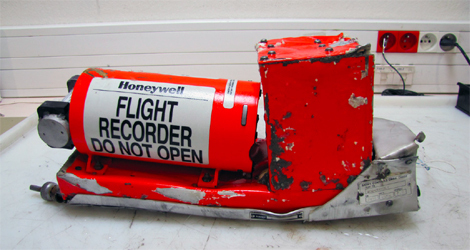 Incident was caused by incorrect identification of engine affected with high vibration followed by non-adherence to recommended procedures, lack of situational awareness, poor Cockpit Resource Management and poor handling of aircraft during emergency subsequent to bird strike.